Shraddha Kapoor giving successful stints one after another in Bollywood recently won the “Most Stylish Youth Icon Award (Female)” by Navbharat Times for her previous movie Half Girlfriend. Shraddha Kapoor’s upcoming biographical crime film Haseena Parker directed by Apoorva Lakhia and produced by Nahid Khan.is based on the life journey of crime lord Dawood Ibrahim’s sister “Haseena Parkar”. The release date of the film has been delayed several times. The film went into production in 2016, and now finally is ready to hit cinemas on 22 September 2017. On the other hand, Sanju Baba's upcoming venture 'Bhoomi' is a special film. After all, the actor is making a comeback on the silver screen. The action thriller film is directed and co-produced by Omung Kumar. 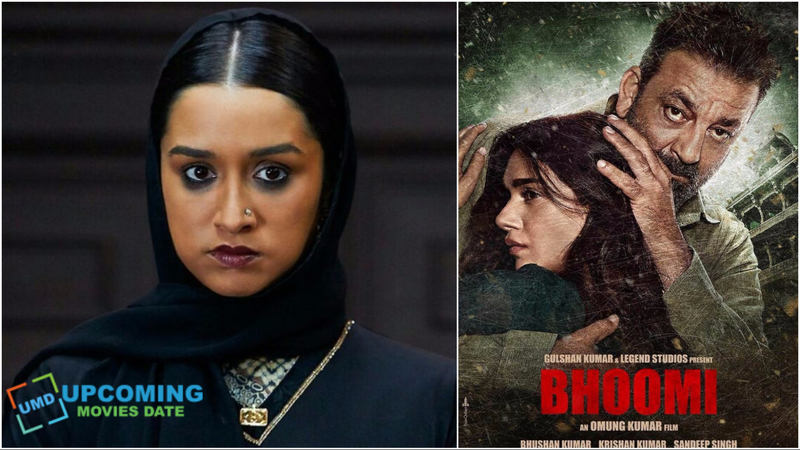 Bhoomi too will hit theatres on the same date and now once again, this clash will make waves. Now, it is up to the audience that they welcome Sanjay Baba with open arms or chooses Shraddha Kapoor.